Read all the details about Cerealia, a home-study exploration of the dwarf planet Ceres in your birth chart and life, April 20-26, 2019. Ceres represents nurturing, parenting, protection, mentoring, and care. Through astrology, channeled text and meditations from Ascended Master Djehuty, and group conversation, I’ll help you see how to step into more mature and realistic self-care and self-love. 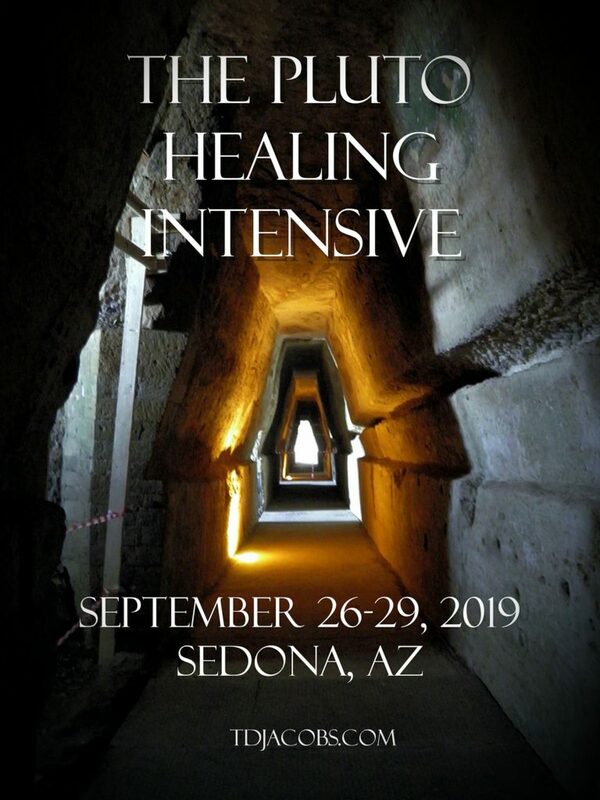 A small-group, 4-day healing intensive to unearth the most disempowering pain, grief, trauma, and more from many lifetimes. Through channeling, energy work, and sharing an empowering view of Pluto, I’ll teach you to deal with intense emotions that can seem to hold you in place, feed existential anguish, trigger anger and grief, and lead you toward depressiveness when you’re just trying to live your life. Read the full details and register here. This 9-part mp3 course (including an intro mp3 for each of 2 parts) in replaces the popular Intuitive Skills Development Level 1 course I taught for a number of years. Part 1 focuses on teaching you to understand the issues and blocks that often come up in the lower 3 chakras and how to heal them. In order to grow spiritually, we must be in our bodies and hearts, not just in our minds hoping to connect to Spirit. This part emphasizes the importance of developing a solid foundation of the lower 3 chakras so you can build sanity, security, and strength. I recommend using the free 13-minute grounding mp3 daily in conjunction with the course. In the flier below you’ll read about energetically programmed stone suggestions to help you advance through this material. Read what one user reports about a transformation out of powerlessness and anger. Read more about Part 1 in the PDF flier. Use Part 1 by itself for a while, truly working through what comes up for you. Because of the importance of focusing on the lower chakras, you can purchase Part 1 by itself below and then come back to get Part 2. Part 2 focuses on the upper 4 chakras, and is entirely channeled. Once you get comfortable with the processes and teachings outlined in Part 1, you’re ready to have some energetic shifts as you learn about chakras 4-7. The foundation of the lower 3 chakras absolutely must be in place before you work with Part 2. Be in touch with any questions about this. As channeled material aims to alter your consciousness, plan to hear the mp3s of Part 2 with focus (avoid driving, multitasking, etc.). Also, some will find they fall asleep readily when hearing channeled mp3s, and I encourage you to let that be okay. You’re still benefiting – you’re processing the info from a sleeping state. Following purchase, I will invite you to join a Dropbox folder in which the appropriate mp3s reside. I recommend using The Chakra Course in tandem with one of the two sets (22 or 31 days) of channeled meditation/energy work mp3s with Djehuty and Metatron, available here. Purchase the entire course (9 mp3s totaling over 7 hours) for $98 here. Purchase Part 1 alone (4 mp3s totaling 3.5 hours) for $49 here. Purchase Part 2 alone (5 mp3s totaling 3.5 hours) for $49 here. This channeled course is a self-guided tour through three important processes: forgiveness of self, forgiveness of other, and calling back your energy from relationships and returning others’ energies to them. Self-judgment and judgment of other are the two greatest impediments to self-love and self-care, which are absolutely necessary for health on all levels and spiritual evolution. This course will provide you the tools needed to gently and consciously come out of destructive patterns with self and other. Giving and taking back energy is necessary when relationships have ended (even if long ago), need to or are ready to end, or simply when you are ready to develop better boundaries within existing relationships to make each person and the shared dynamic healthier and stronger. Included is a 40-page PDF of channeled teachings from Ascended Master Djehuty and introductions and commentary on those teachings by me intended to help you understand and best use the teachings. Following most of the teachings are questions for reflection to make the material for the week real for you in your life. Three channeled meditations and a grounding meditation that raise your conscious awareness and heal you across time are also included for daily use alongside the written materials. The course is structured such that you can move through these processes in 6 weeks at minimum – the shortest recommended duration due to the deep energetic effects the materials tend to have on people – or at your own pace over a longer duration of time. The intro mp3 is required to take the full course. Dates for the next course: Affirmation work begins on May 4, 2019 (this is the registration deadline), and the two live class meetings will be May 11 & 18, 2019. This unique 109-minute MP3 introduces my approach to working with energy, money, love, and transforming debt and opening to receive. 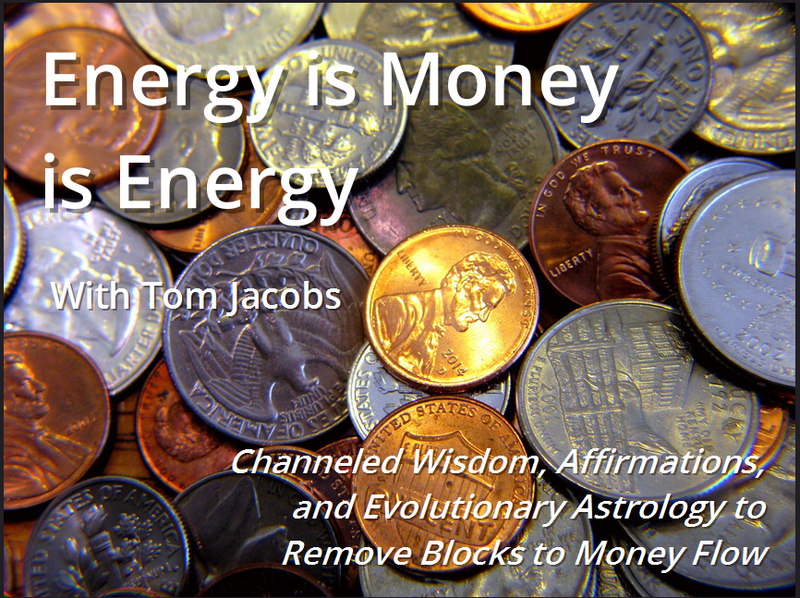 This MP3 is required if you want to take the popular Energy is Money is Energy course. Collected in this MP3 are the openings to four EME class calls taught in the Summer of 2012. They introduce the channeled perspectives and how I work with astrological birth charts to approach clients’ issues with debt, opening to receive, and in general flowing with life. After hearing this MP3 you can opt in to take the next full course (listed below). The class itself focuses entirely on the birth charts of all students, using the principles in the channeled PDF from Ascended Master Djehuty: seeing what you might think you owe someone or yourself energetically and why you might be blocked to opening to receive love, of which money is one manifestation. Understanding the root of money issues as a relationship with love empowers you to move into an empowered relationship with yourself, others, and life in order to make the most of what you have to offer. Students have reported amazing results from this course! Prerequisite: The intro mp3 listed above. The next course will begin with affirmation work on May 4, 2019 (the registration deadline), with the two live class meetings (webinars) on May 11 & 18, 2019. This unique course begins with channeled affirmations from Ascended Master Djehuty (a.k.a. Thoth, St. Germain, Merlin, Hermes) that reveal potential issues you may carry about debt (being on either side of it) and how you can open more to receive. On the first day you will receive the first set of channeled affirmations related to transforming debt and you’ll work with them the whole week, making notes about your feelings, thoughts, and beliefs that come up. 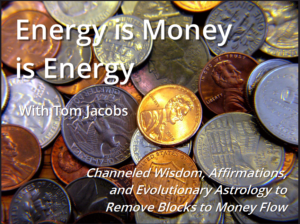 In the first class webinar meeting a week later, we will discuss each attendee’s week while I use your astrology chart to help you unravel energetic, emotional, and karmic blocks that create debt. After the first webinar, you’ll receive the second set of channeled affirmations related to opening to receive. You’ll work with them the whole week, then in the final webinar we’ll discuss the week of each attendee and repeat the process, but framed in terms of how you can remove blocks to being open to receive. 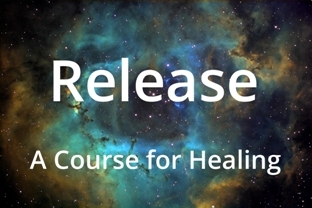 Next course dates: Affirmation work begins on May 4, 2019, with the two live class meetings/webinars on May 11 & 18, 2019. Open to 5; 1 spot open as of April 15, 2019. Registration for the general public is $74. Registration for my monthly subscribers is $63.